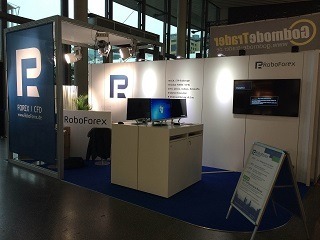 This autumn, RoboForex (CY) Ltd participated in "World of Trading 2015", an international forum, which took place at the end of November in Frankfurt am Main, Germany. This global event in the online trading industry is the most popular one among exhibitions of such type in German-speaking countries. This year, the exhibition was a great success once again – it featured 54 companies and was attended by more than 5,600 visitors. The program of the event included lectures and seminars held by leading financial experts, as well as presentations made by participating companies. 70 seminars and 19 lectures were held over three days of the exhibition. This year, we’ve taken part in "World of Trading" for the first time. 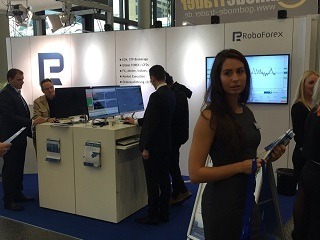 The number of RoboForex clients in Germany is constantly increasing, that’s why it was quite logical for us to enter the German market and launch the German version of our websites. The Company provides traders from Germany with quality services on unique trading conditions, but we’d like to live up more to their expectations by offering them interesting services, and it can’t be done without feedback. The exhibition gave us a chance to better understand the German market, our competitors’ offers and traders’ interests. A qualified banker, trader, freelance speaker, author of articles, and analyst, whose trading experience is more than 21 years. 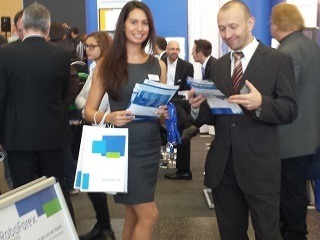 During the exhibition, our stand was very popular. We distributed booklets, communicated with hundreds of people, and told them about our services. 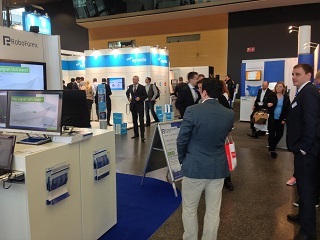 Many visitors opened trading account onsite during the event. The most popular products, which generated a lot of questions and interest, were CFD trading and our web terminal, "WebTrader RoboForex". In exchange, we not only attracted new clients, but also received important information about the direction we should develop and expand in the future.